PBS is a set of research-based strategies used to increase quality of life and decrease problem behavior by teaching new skills and making changes in a student's environment. Consultants from CARE will train district administration and staff on PBS principles and techniques that can be utilized throughout both their classroom set-up and academic lessons. 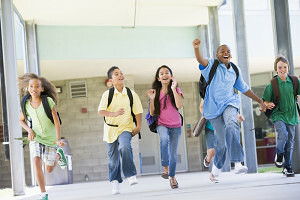 Research has shown that the continued implementation of PBS techniques in the classroom improves student behavior, academic performance, and motivation to succeed. Valued Outcomes - Positive behavior support (PBS) strategies are considered effective when interventions result in increases in a student's success and personal satisfaction, and the enhancement of positive social interactions across work, academic, recreational, and community settings. 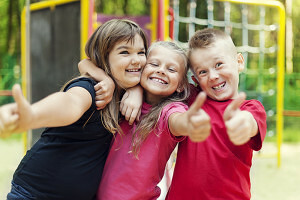 Valued outcomes include increases in quality of life as defined by a student's unique preferences and needs and positive lifestyle changes that increase social belonging. Behavioral and Biomedical Science - Positive behavior support is based upon behavioral and biomedical science. Research in applied behavior analysis has demonstrated the importance of analyzing the interaction between behavior and the environment. From this perspective, behavior is considered purposeful and is under the control of environmental factors that can be changed. Positive behavior support assessment and intervention strategies are based upon research in applied behavior analysis and emphasize the importance of implementing intervention strategies that are effective in natural everyday settings. Validated Procedures - Positive behavior support professionals implement system-level interventions to ensure the success of multiple interventions while working within everyday settings. Data collected to evaluate positive behavior support outcomes can include program evaluation measures, qualitative research, surveys, rating scales, interviews, correlational analyses, direct observation, and self-report information. Systems Change - Many excellent positive behavior support plans are never implemented because of problems that are related to how a PBS plan was developed. These problems can be related to resource allocation, staff development issues, team building and collaboration, and the extent to which a positive behavior support plan is a good fit for the people who will implement it. Assessment and intervention strategies that consider the larger environment within an organization or home are needed in order to ensure the success of a positive behavior support plan. Token Economy - Token economies are based on the principles of applied behavior analysis (ABA) and emphasize the use of positive reinforcement to target behavior change. Token economies help students to visualize progress, accept and work for delayed reinforcement, learn to self-monitor, and learn to regulate behavior. Antecedent Interventions - When assessing problem behavior, we might find that a simple change in environment, setting, tone, or task load might have prevented the onset of a given behavior. These are all examples of antecedent interventions. An antecedent intervention is an evidence-based practice in which you change what causes the behavior. Teach A Replacement Behavior - Intervention plans should target specific skills that will allow an individual to meet his or her needs in more efficient, effective, and appropriate ways. These might include replacement behaviors and other skills that improve overall functioning (e.g., independent living, social skills, leisure/recreation). These are examples of techniques CARE professionals will train MISD staff in implementing. There are a multitude of additional techniques available that will be included in training to help all MISD students increase motivation and academic success.School-wide positive behavior supports (SW-PBS) is an additional training CARE professionals offer for specific campuses over the course of two calendar years.